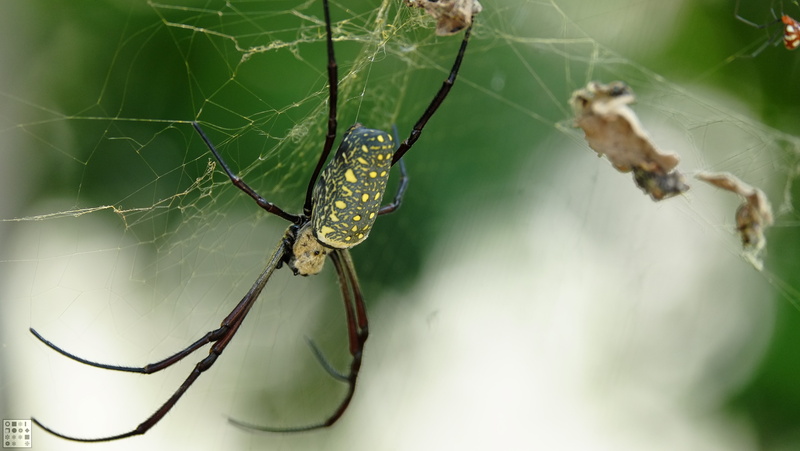 Probably the easiest creatures to photograph at Sungei Buloh were the spiders. At first I didn’t really notice them as I was focused on spotting birds. Once I caught a glimpse of a few colorful ones, I started noticing them right and left. This first one is a Golden Orb Web Spider. 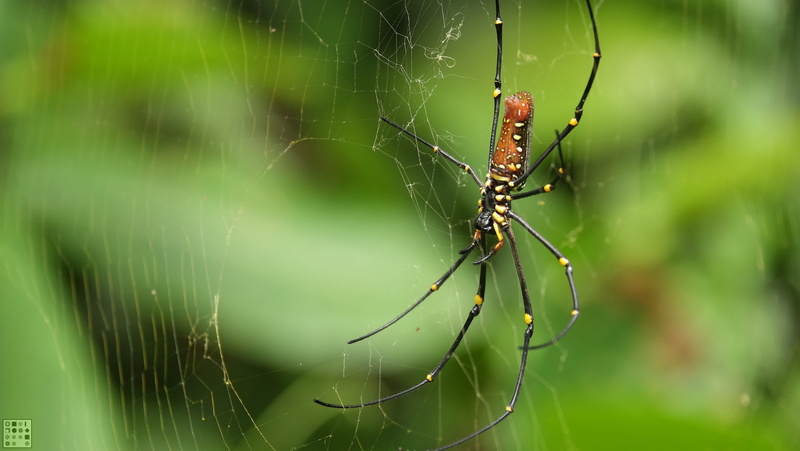 Not only are its “knees” a distinctive yellow color, but apparently the web itself has a golden hue. In this picture, the web does appear to be golden. 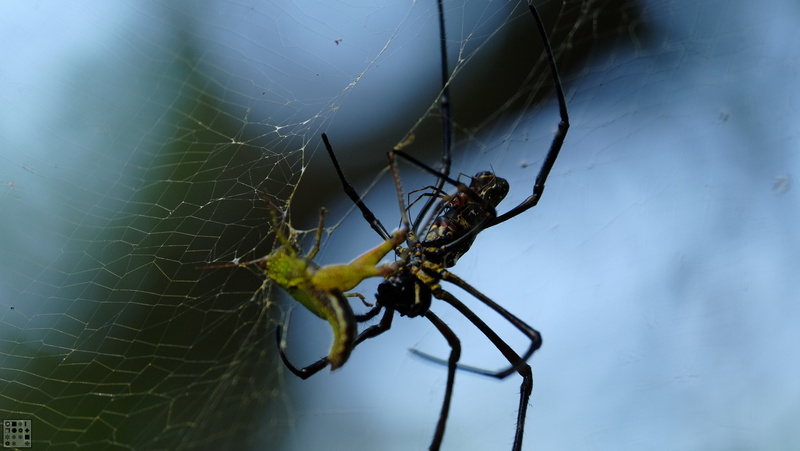 Apparently the silk of these spiders is so strong that it can trap small birds! 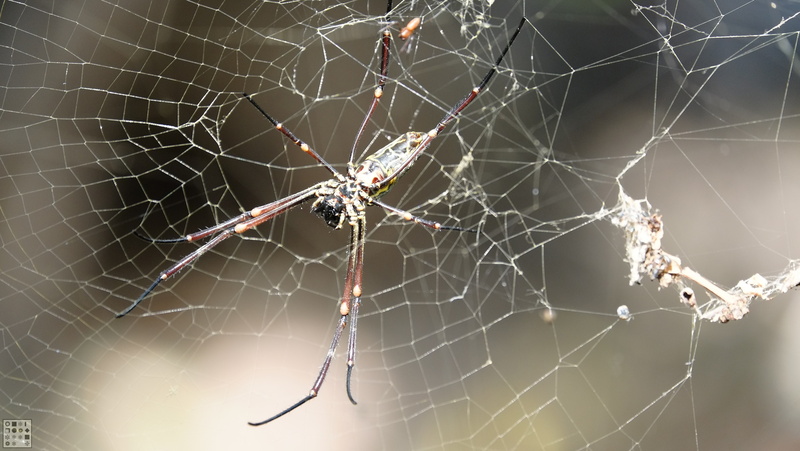 This is another species from the same genus, Nephila, as the ones above. However, she doesn’t have the yellow knees but instead has a jewel-like abdomen. I’m not sure what this one is, but it is an interesting action shot. As I was readying my picture, someone from behind threw a cricket right into the web. The spider immediately went after it, and then appeared the smaller spider that hopped on. The smaller spider is the male, and apparently they are major freeloaders. They lurk around the web (they’re so small the female barely notices them), and eat whatever the female leaves behind. Not only that, but the only time they mate is when the female is busy eating her prey. So nature isn’t providing a good role model here, guys.